Sign up! You don't want to miss a thing! Why “idea midwife?” Creating, like birthing, is a natural process, with its own ebb and flow, phases, moments of wonder, times when special attention or effort is required, and times when, now matter how much you might want to, pushing is not a good idea. Let yourself be informed and supported by this natural cycle as you bring your creative ideas to life. Consider what phase of development your idea is in, and take actions to support and encourage its development and your well being — keeping in mind that, unlike birthing babies, when you birth innovation the gestation period can vary wildly — and you can take a step back, in order to move forward. As I was watching the lunar eclipse over the weekend, I felt powerfully reminded that all things astrological are good. It is easy to lose sight of this truth. It can be so seductive to be in the drama of a big Saturn, Uranus, or Pluto transit; to view with dread a powerful eclipse that connects with your birth chart; to want to pull the blankets over your head during Mercury Retrograde. But it is more helpful (and, I think, truer) to be in the wholeness of the astrological meaning. To think of these planetary whisperings or roars as resources. Sure, they may require a deft touch, a knack for weaving strands that are by nature bumpy, but if I stay true to my own belief that my soul chose my chart, chose this time, I’d be silly to ignore the gifts it brings just because the packaging is not to my taste or standards. 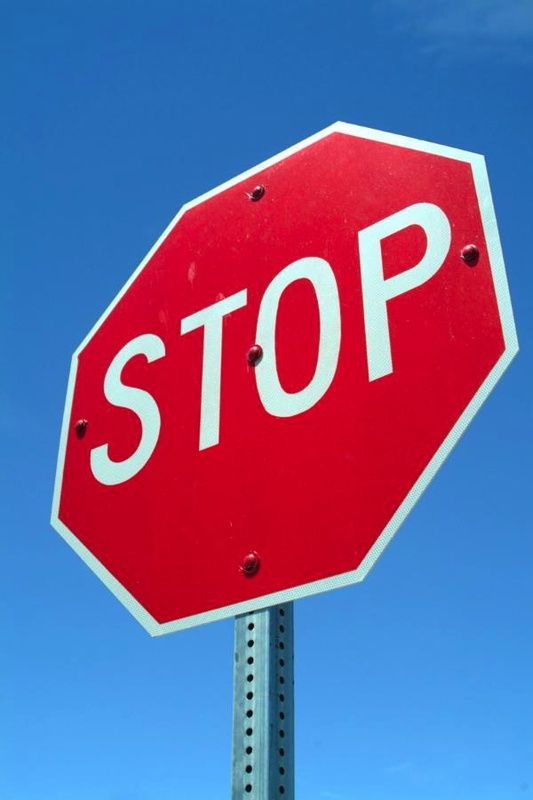 Has your energy and forward motion run into a big fat stop sign? Mars is the action principle. Our will. Our courage. Our motivation. It is the engine that drives us toward our potential (as we understand it). Mars is also our assertiveness (or aggressiveness), our competitive nature, our desire to win, and our tendency to turn actions and goals into contests with winners and losers. 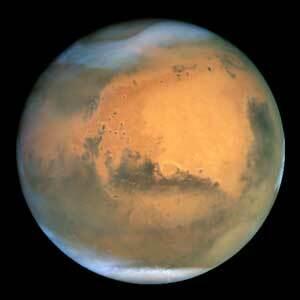 Mars is yang energy, masculine in polarity, active, focused, single-minded, and self-centered. Mars represents how we go after what we want. It is our ability to stand strong in who we are, in the face of pressure to change. The Mars principle is about ego survival: how we respond to perceived threats; our fight or flight instinct. Mars must act. Mars is not happy unless we are doing something. If you don’t give Mars expression, if you don’t productively channel this energy output, the results are frustration, resentment, impotent anger, needless fights, accidents, and even illness involving fever and infection. When Mars moves through the zodiac, we experience a need for and a surge in energy and activity based on where this planet of action is traveling in the personal maps of our birthchart. Mars revs us up, while also acting as a catalyst, triggering bigger unfolding. When Mars is retrograde, all of this action and energy is slowed down and turned inward. The purpose of Mars retrograde is to evaluate your actions and your use of energy, to check in with what motivates you, and to determine if you are on the right path, doing what you should be doing. Mars retrograde provides the opportunity and the focus to review how you handle anger, self-defense, self-motivation, and desire. Like the Bill Murray movie Ground Hog Day, Mars retrograde invites you to go back over past situations and re-do them, making corrections in how you handle events, motivate yourself, etc. But if you’ve ever tried to drive backwards for an extended period of time, you know it is very different from forward motion. It takes a lot of energy. You can’t make the same kind of progress. It takes more time, and more concentration. You need to go more slowly. Your rear-view perspective is disorienting (things may be closer than they appear….) and can be more limited. It is easier to get off track, and find yourself in a ditch. And it can be very frustrating. So, too with Mars retrograde. Some of the possible negative effects of Mars retrograde: (don’t let this list scare you, use it to be prepared). equipment & machinery failure (for example, my printer just stopped working with a logic board failure). It is generally recommended to avoid purchasing equipment and machinery during Mars retrograde if possible. If you must purchase equipment (this includes computers, cars, lawn mowers, snow blowers, appliances, etc), it is a good idea to get extra insurance on them (an extended warranty, paying for a lower deductible until Mars in direct, etc). being more accident prone. Be extra careful driving, using equipment, and handling knives. some astrologers have suggested there is a tendency to bleed more easily. It is often recommended that you delay any elective surgery while Mars is retrograde. increased frustration and aggression in yourself and others. if your tendency is to be cautious, you make experience increased impulsivity; if your tendency is to be impulsive, you make experience increased rigidity. difficulty feeling connected to your sense of motivation. difficulty getting into and staying in action. a sense of fatigue; adrenal stress. business can tend to slow down. new product launches/new business starts can fizzle out. and strangely enough, feeling famished and wanting to eat more than usual. do strategic planning for your business. if you tend to be less assertive, use Mars retrograde to increase your assertiveness and stand more strongly for yourself. take action to support your health. This is a great time to explore and experiment with new fitness strategies. Physical activity is particularly important to help manage any frustration. reconsider your usual approach to taking action and initiating new projects — be open to alternatives. experiment with doing things differently. take frequent, repeated small actions (rather than big giant steps). I don’t believe the Cosmos is asking us to not take action for 82 days (after all, Mars must act), but we are definitely being asked to slow down and turn inward. We are being asked to really look at our motivations. We are especially being invited to ask ourselves “What do I really want?” If business is slow, take advantage of this time to do this internal work. If business is not slow, put extra effort into building downtime into your schedule. Mars retrograde and Personal Power: For those of us born between Late October 1958 and the summer of 1969, Mars will most likely activate your Natal Pluto while retrograde, and then again as he moves forward. This is a great time for you to explore how you express and defend/protect your personal power. Are you too edgy, or perhaps not quite edgy enough? What does appropriate self-affirming/self-validating assertiveness look like to you? How can you stand more strongly in your personal power? During Mars retrograde this is a great area of exploration. And since Mars prefers action to simply thinking or talking about something, what small actions can you take to explore and develop your capacity for appropriate assertiveness? declare (even if only to yourself, as practice) what it is that you want. take a small step in the direction of what you want, repeat. embody personal power: hold your body assertively, practice warrior poses in yoga, dance in a way that expresses power, makes you feel powerful; begin working with weights (start very slowly); pour intention into your strength building activities. find a resonant model for your warrior spirit. What is your best expression of warrior energy. How (& what) do you protect, defend, take a stand for. Create a visual representation of your warrior spirit. reconsider past events where you were either too aggressive, or not assertive enough. Replay the situation, modifying your approach (yes, actually act it out. Say out loud what you wish you had said then if you were “brave enough” or “in control of your emotions.”) You may even find the courage to do this “for real.” But proceed slowly. Put the powerful energy of Mars retrograde to work for you and your business. While not the time to launch new initiatives, it is the perfect time to develop new strategies and approaches, and for determining where you should be headed and how you can get there. About the author: Laura Lind-Blum, as the Idea Midwife™ and a Coaching Astrologer, helps you to access the wisdom and guidance of an astrological perspective to align your energy and actions with the natural dynamic cycles of your life. It’s 2012. Don’t be scared. In 2012, the defining astrological phenomenon is a waxing square from Uranus to Pluto — revolutionary transformation in which “We the People” challenge the “Powers that Be.” This energy has been building for a long time and has been expressed through such world events as “The Arab Spring” and the “Occupy Movement.” So yes, 2012 is likely to be a year marked by continuing revolutionary transformation, and strong clashes between the energies of freedom, idealism, with existing power structures which are trying to resist or control change. With the Uranus/Pluto pattern, the revolutionary transformation has a global/cultural/era-defining impact, which is why it gets our attention. This Uranus/Pluto Cycle began in the 1960’s when Uranus and Pluto were conjunct in the sign of Virgo. We are now at the first quarter of that nearly 140 year cycle. The waxing square between Uranus and Pluto is a once in a lifetime pattern, lasting several years (it will have 7 exact connections between 2012 and 2015 due to the normal forward and back cycles of Uranus & Pluto) and this energy will be with us at least through 2016. Much like the periods of the 1960s and earlier epochs of change – The Times are a’changin. 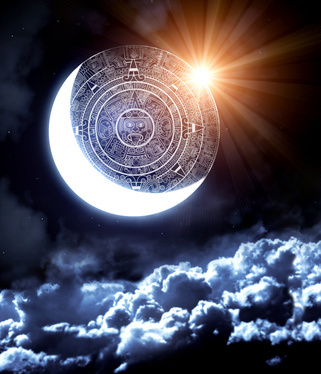 I like to think of the end of the Mayan calendar as being a kind of Winter Solstice on steroids – the moment at which one cycle ends and the next begins – and in this case, the cycle is more than 5000 years long. Like the monthly New Moon, and the annual Winter Solstice, this turning in the Great Cycle can be a seed time. It is a wonderful time to think about what you want for yourself and for the world – to hold your vision for the world you want to be living in, and to begin acting in ways to bring this vision into being, even as we move through the dynamic challenges of the present. Let me ask you…do you get a little stressed when your business or professional growth seems to slow down? If you are like most of us, a business slowdown engenders panic. We have, as business astrologer Madeline Gerwick describes it, a “nearly religious belief” in constant progress, in “always accomplishing something…in pushing forward at all costs.” And to top it off, she says “even though we’ve never experienced a year without challenges, delays or setbacks, there’s an unspoken belief that we shouldn’t encounter any obstacles or delays if we’re competent. It’s silly, really, when you think about it. Can you name a natural cycle that provides “all growth, all the time?” I can’t. It may seem counter-intuitive…(but only because our intuitive ways of knowing have become distanced from the natural rhythms of life around us)…growth requires periods of slowing down, stopping, turning inward, rethinking, resting. And, the very cool thing is that, if we are paying attention, the planets help us to do this through their retrograde cycles. Astrologically, retrograde planets invite us to slow down, to pause, to retrace our steps, to look back, and to gather ourselves anew before stepping forward again. And, from November 25 through December 15, Mercury is retrograde in the big, bold sign of Sagittarius. Mercury Retrograde has gotten a bad rap, but it has a powerful purpose. Yes, it is true that travel and communication mishaps seem to occur more frequently when this little planet, aka “The Trickster” goes retro. (more about this in a minute…). But to really get the purpose and value of Mercury retrograde, we need to go a bit deeper than email snafus. Astrologically, Mercury represents our thinking and perception and the Sun represents our vital life force, our impulse and capacity to be, and our urge to create. Mercury travels through the zodiac much like the Sun’s valued canine hiking companion…moving ahead, seeming to wander about, traveling back to connect with the Sun and then further back still to recheck something interesting, then dashing forward again past the Sun and on up the trail a ways, but never getting further than 28 degrees away, before stopping to look back and retrace its steps. I find it truly fascinating (and a bit reassuring) that the natural order of the Universe has an inherent design in which the core essence of our mind/perception/communication cannot get too far out of alignment with (either getting ahead of or falling behind) the core of our life force before a regrouping is triggered. But we still get enough room to play. In the Mercury cycle, we enjoy some forward thinking that stretches our existing frameworks in innovative ways and brings us toward the Unknown where we come in contact with new possibilities. Then we need to bring the seeds of those new ideas back to our present reality in order to try them out. We take a new look at past learning and see how to integrate new ideas, giving us the opportunity to form a mental framework with a solid foundation that provides avenues to bring the ideas into tangible form. Which then prompts the desire for new learning to help bring those ideas fully into the world. And, on again through the cycle. Mercury retrograde is an integral part of the creative process. So why all the bad press? Mercury retrograde is rebooting our thinking process, reviewing and resetting our mental models in a specific way in specific areas of our lives. (As always, the exact impact of any astrological phenomenon in your life and business depends on its interaction with the energy map of your birth chart, which will show where Mercury’s retro-upgrade is happening for you). It is an important maintenance function that supports our growth, creativity, continued learning and ultimately our evolution along our development path. And, whenever you are involved in a major system upgrade and reboot, some non-essential tasks get a little wonky, sluggish, or just plain weird. If you keep trying to process at full speed, you will experience breakdowns, frustrations, and stress. Kind of makes sense, doesn’t it? Just to be on the safe side, to minimize frustration: During Mercury retrograde, adopt a playful, patient attitude and plan in lots of extra time and space to manage any glitches that may come up. If you can, delay big purchases (especially electronics) until after Mercury turns direct. If you can’t, anticipate that there may be a need to re-do something related to the purchase. It is possible that more holiday gifts will be returned than usual this year since the bulk of the holiday shopping season happens while Mercury is retrograde. It’s ok. It’s not personal. When working on computer, save your work frequently and don’t assume your email got where you wanted it to go when you sent it. In all communications, anticipate that you might be misunderstood, and your intentions misinterpreted. Allow room for this and, again, don’t take it personally. There is no reason to suspend projects, cancel travel plans, or become a hermit, just be cautious about starting new contracts and new projects, and be compassionate in your interactions as there is the increased likelihood of communication missteps due to incomplete information, indecision, and communication slowdowns. It is just too easy to miss an important detail, or to misread something. Mercury retrograde has been described by one astrologer as the Cosmic Trickster untying your shoelaces when you weren’t looking. Not a tragedy, but if you insist on running at your usual full speed, chances are pretty good you will trip or at least feel a bit clumsy. So bring along your sense of humor and … consider trading in those winged shoes for a pair of loafers, or fuzzy slippers. Conventional astrological wisdom suggests that you focus on activities that start with “re:” rehash, review, rejuvenate, refine, reflect, repair, re-write, reconnect, etc. It is also a great time to tie up loose ends or reconnect with projects that were dropped during the last Mercury retrograde period (August 2011). Here are the details for this cycle: On November 24th, Mercury stationed (appeared to stop) at 20 degrees Sagittarius. It will now appear to move backwards through Sagittarius until it reaches 3 degrees, where it again will stop and turn direct on December 15. Mercury will then retrace its path, passing the place where it first turned around 20 degrees Sagittarius) as the new year begins on January 1, then continuing, with increasing speed, on its merry way until it passes the Sun again and begins the build up to the next cycle. Using the retrograde cycle consciously. As Mercury moves backward in Sagittarius, you are being asked to review, rethink, re-envision your goals, purpose, direction, meaning, your place in humanity, and your concept of Truth, with a capital “T.” You are being invited to consider the role adventure plays in your life. You may reevaluate your assumptions about other cultures and belief systems. You have the opportunity to explore what freedom means to you and how it is showing up in your life. These are big, bold, passionate questions. And it is all too easy to slip into seeing your perspective as the “right” one, and announcing this to anyone who happens to be in earshot. Mercury is naturally a bit awkward in the big picture energy of Sagittarius. Mercury in Sagittarius is on a quest to explore every little thing about every very big idea – convinced that each new bit of information is “the Answer” or “The Way” things should be. And when retrograde, Mercury’s command of the details is compromised. And lacking the details, Mercury’s not afraid to bluff its way through. Resulting in predictable upsets. Work to blend Mercury’s healthy curiosity with Sagittarius’s bold exploration, by focusing on the exploration itself, rather than the destination. Be curious and non-judgmental. Resist, for now, the urge to form conclusions. Instead, deepen your reflection and notice how your perceptions shift and change. Look back over the past 3 months (since the last Mercury retrograde cycle). What has been the nature of your visions for the future? How open and receptive have you been to new ideas and contradictory thoughts that may shake up long held beliefs? Inventory your communications (both personal and in your business). Are you being dogmatic in any way? Are you convinced that your truth is the right truth? Look at your advertising & brand activities. Are you being bold enough? How do you show up in professional situations. As a “know-it-all” or a wise teacher? Do you let yourself dream new dreams? Have you gotten into a habit of thinking small? Are you avoiding any truths that are trying to get your attention? During the retrograde, dance with the questions. Mercury retrograde gives us the opportunity to stop and really drink it all in. When given the space, this introspective focus helps us to review what we already know and think, and perhaps make new connections leading to newly useful conclusions. Shifting our perspective so a new picture can emerge. We can determine what is serving us that we want to deepen and enhance and what we want to change. We can begin to see what is needed to support new ways of thinking, and what new ways of thinking will support our big goals, providing the refreshed mental framework needed to bring out dreams into being.